Our umbrellas are modern and sleek. 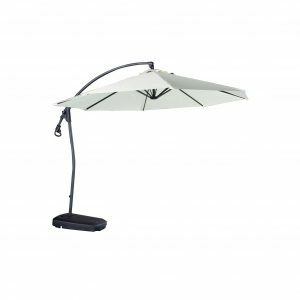 The perfect combination of style and functionality our Summer Shade Banana Umbrella is made with a solid aluminium frame with solid base. Assembly is easy with this umbrella being a wonderful way to stay cool in summer. We deliver to Brisbane, Sydney, Melbourne and other major city centres across Australia. Use our secure website with ease and buy using Afterpay for added convenience.